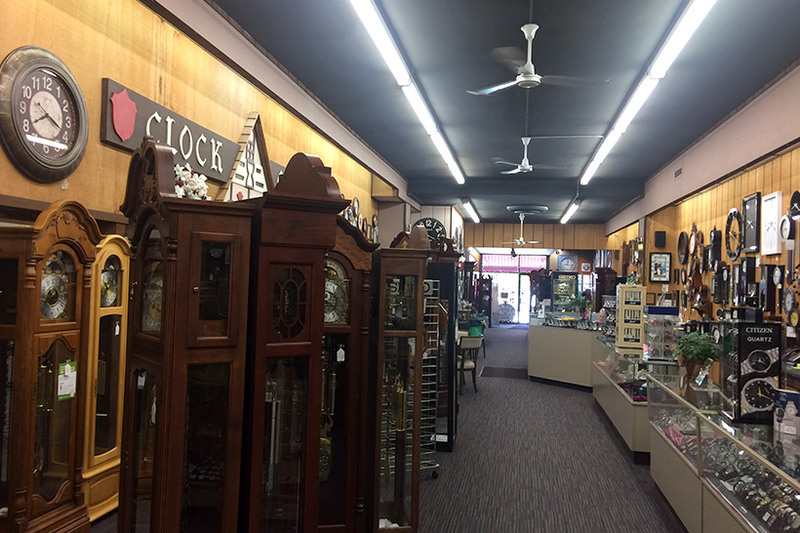 In 1968 Karen White, with her husband Eddie, opened the doors to the Little Swiss Clock Shop located on 270 W. Main St. in Waukesha. Along with selling clocks, watches, or really any instrument that tells time, the shop also conducts antique restoration. 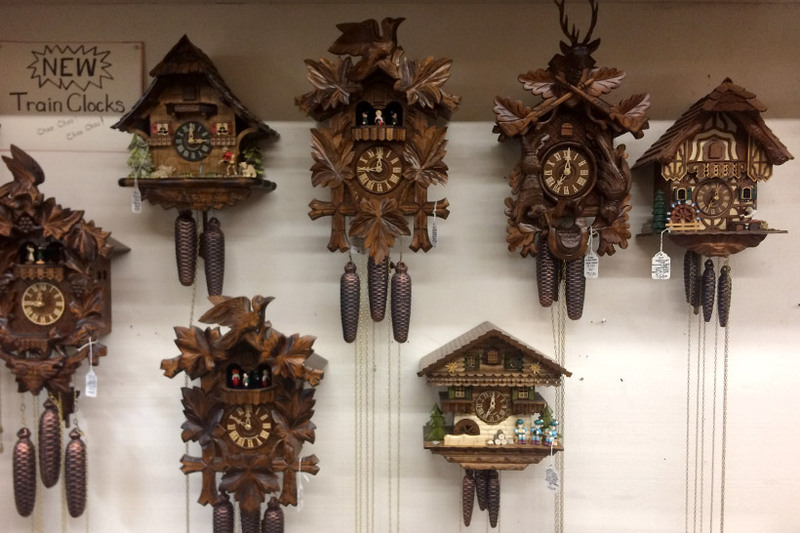 From repairing timepieces or replacing batteries to maintaining the more complicated instruments such as Cuckoo and Grandfather clocks, the Little Swiss Clock Shop offers a full-range of services. 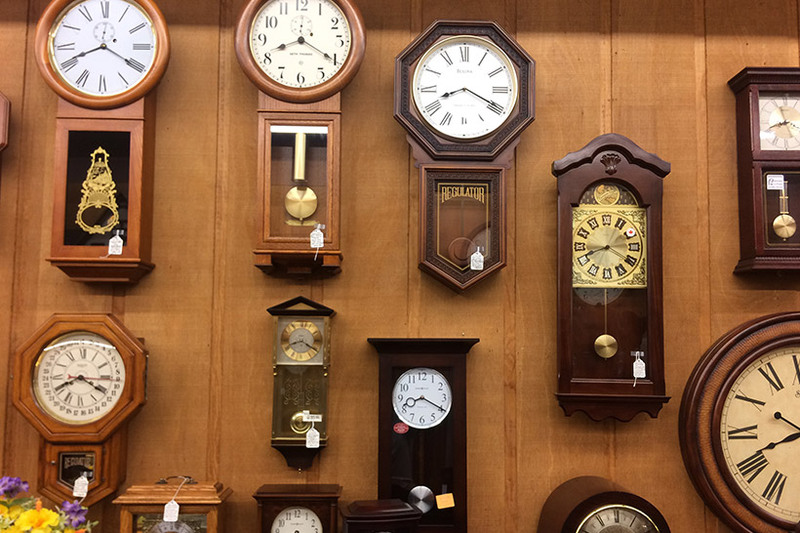 An impressive selection of clocks and watches await all who visit this shop as time pieces cover the walls from floor to ceiling. 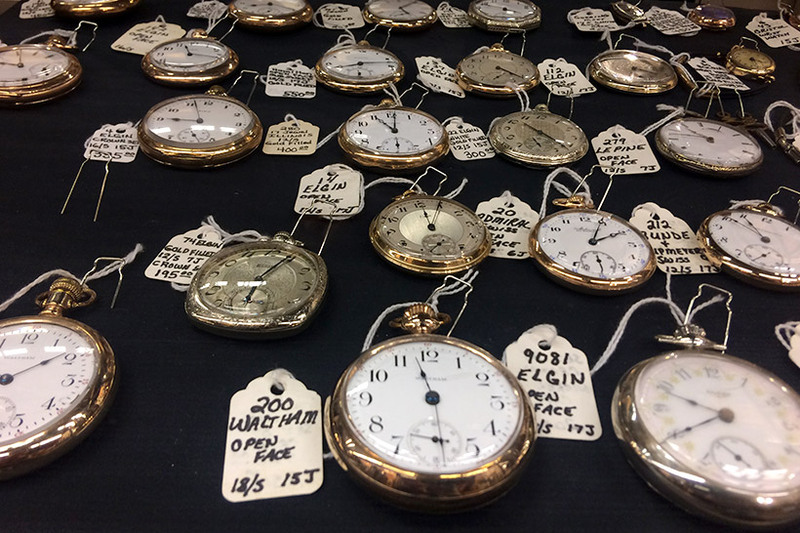 Additionally, their large collections of wrist and pocket watches are prominently displayed and offerings include a variety of sizes and types. Another personalized service includes house calls to service larger clocks. 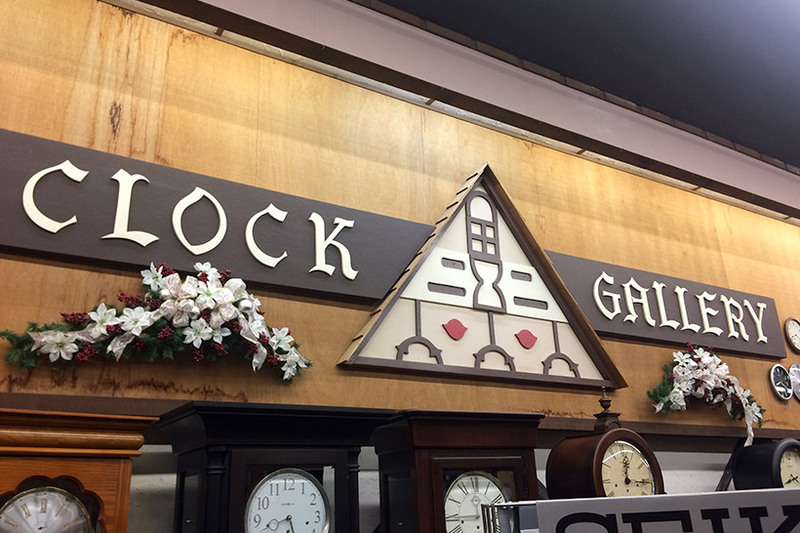 The Little Swiss Clock Shop celebrated its 49th anniversary this year and has witnessed a lot of changes. Karen can remember when you either shopped in Waukesha or Milwaukee and there were no major shopping venues available in between. What makes the Little Swiss Clock Shop unique is that they are now serving customers who are second and third generation. As they visit the shop, customers recall stories of how they used to come to the shop, when they were younger, with their parents. Before that their parents came with their parents to shop. Karen fondly reminisces with them and finds it interesting as she observes the different generations. As a result, many customers feel a special loyalty toward this store which holds a special place in their memories. Karen learned the clock business through her husband whose passion was the restoration of old clocks and watches. When he passed, Karen believes that she was blessed to hire the right people, because she is not a watchmaker. Karen says that this can be difficult because there are not many watchmakers left in Wisconsin. Additionally, no schools in Wisconsin teach this discipline. Waukesha County Technical College offers a hobbyist course, but not at the level needed for professional work. For example, Germany is known for precision mechanical clock movements while Switzerland is known for their exclusive watches. 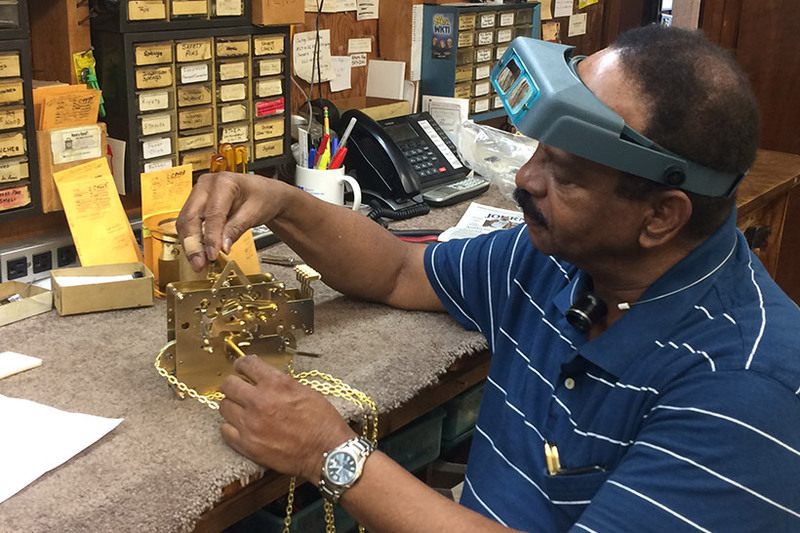 Karen is grateful for Jesus Polanco, a gifted watchmaker, who is skilled in all areas of clock repair and has worked for her shop for over 25 years. They are always working with apprentices; still it takes many years to accomplish the type of skill needed. Karen believes that there is no friendlier place than Waukesha. “I like the camaraderie of the merchants and the friendliness of the customers.” She believes that there is just something about Waukesha where people are friendly with each other. “Whether I go for groceries or make a trip to the hardware store, I see people talking to each other,” she said. Karen is never too busy to talk with customers in a city that she loves. 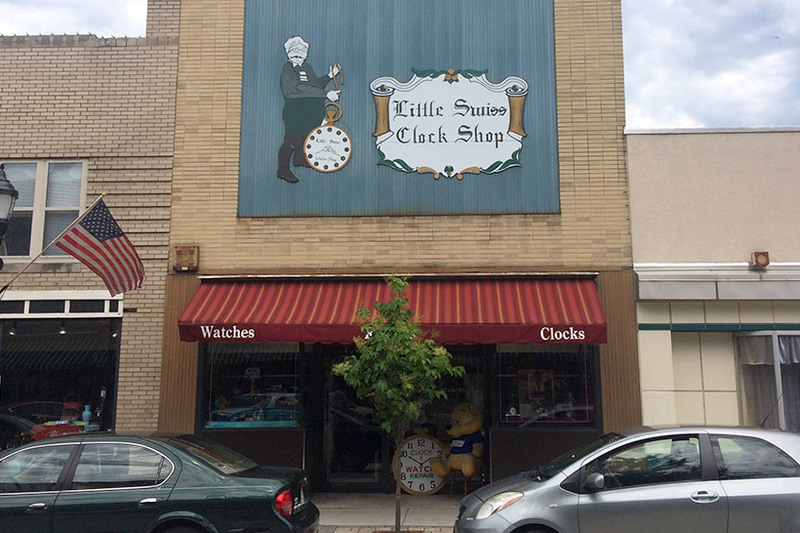 The City of Waukesha is happy to acknowledge her success and the significant contribution the Little Swiss Clock Shop has made to the city. Congratulations Karen and we wish you many more years of success!